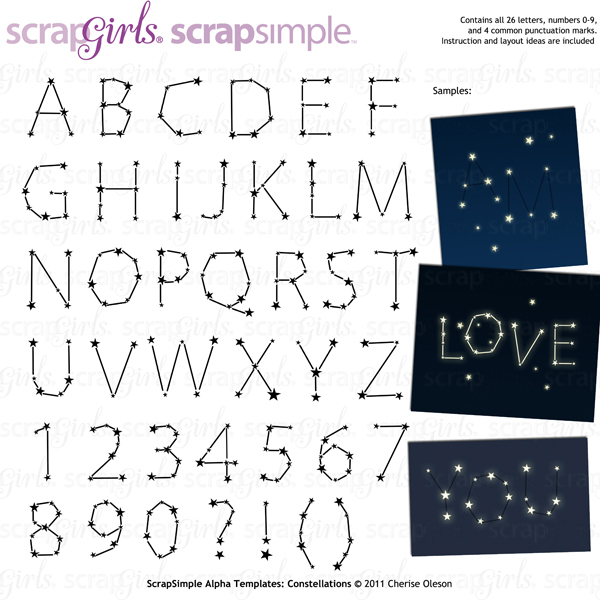 Create customized words and messages written in the stars on your digital scrapbooking layouts and cards with this Constellation Alpha Template. You will receive PNG files of all 26 letters, numbers 0-9, plus 4 additional common punctuation marks. 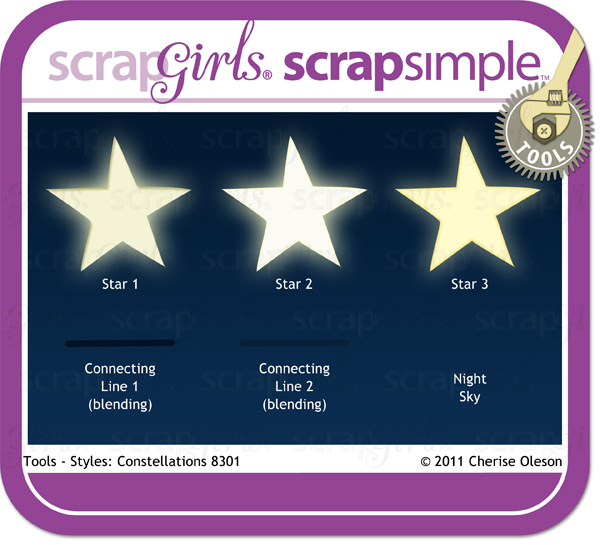 Use this Constellations style tool to instantly bring your stars and connecting lines to life. 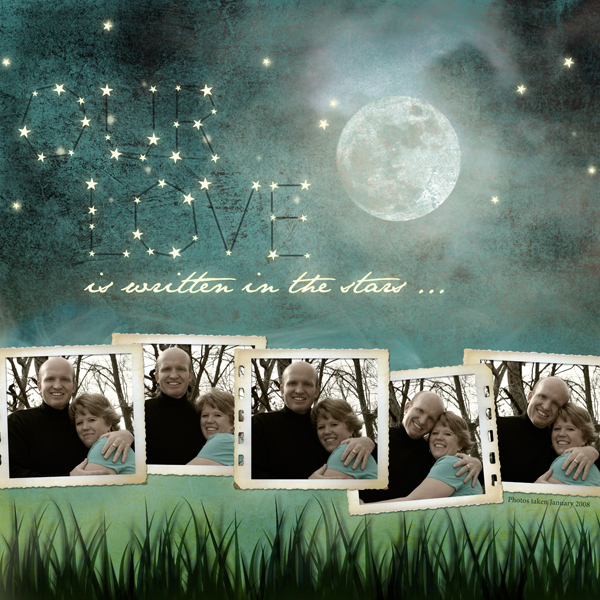 Designed to work well with ScrapSimple Alpha Templates: Constellations. 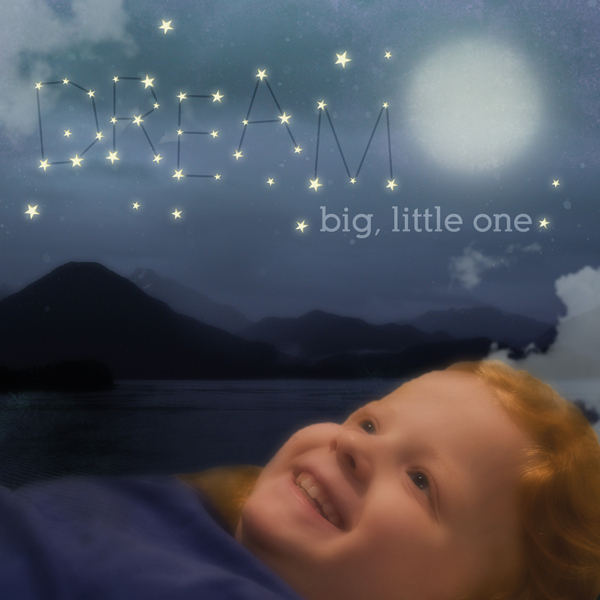 Styles are for Photoshop and Photoshop Elements only and will not work with other software programs.